The Fruit of the Loom Men's Waffle Thermal Crew Top delivers warmth outdoors, and cool comfort indoors. 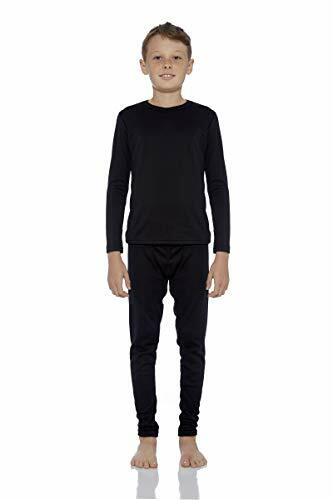 The midweight cotton rich waffle fabric wicks away moisture to keep you comfortable, retains heat when you need it, and stretches for a better, more comfortable fit. The ribbed cuffs have a touch of spandex so they stay snug on your wrists to keep out the cold, and the crew neck line is tag free for itch-free comfort. 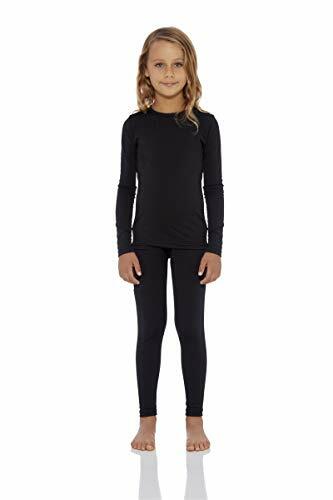 And it’s made with the strength and durability you’d expect from Fruit of the Loom – smooth flatlock seams and sturdy seam construction mean this will be a perfect layering piece for many cold days to come. For the complete set, pair it with Fruit of the Loom’s Men's Classic Midweight Thermal Bottom. 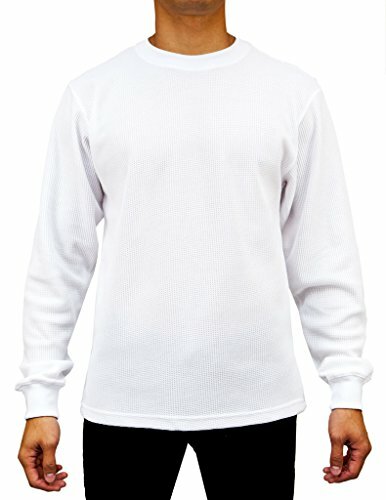 Machine washable; 60% cotton, 40% polyester. Fruit of the Loom was born in 1851 when brothers Benjamin and Robert Knight bought their first mill and started producing cotton cloth and textiles in Warwick, Rhode Island. As one of the world’s oldest brands, Fruit of the Loom is synonymous with providing quality, value and style. Staying true to our roots and close to our heritage, our collections are authentic, timeless and unmistakably Fruit of the Loom. When winter weather gets cold & frigid, don't let the elements keep you from your daily life. With the Access Apparel Heavyweight Thermal top, you'll stay insulated and comfortable in rain, sleet, wind or snow. The waffle knit fabric protects you from cold, winter conditions while you hike, hunt, fish, work, go for a run or even sleep. Love tailgating and football? Choose from 20 vibrant colors to represent your team. The sturdy and shrink resistant cotton blend encourages shape retention and prevents damage durable washing and wear. Wear as a base layer or a stand alone shirt. 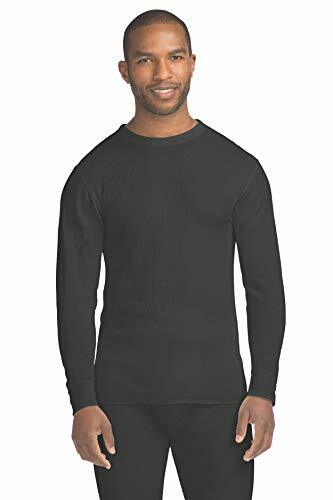 Stay warm no matter the temperature with Access Apparel's thermals. Approximate Measurements From Access Apparel Small: Chest 38" Sleeve 34" Medium: Chest 40" Sleeve 36" Large: Chest 44" Sleeve 38" XL: Chest 46" Sleeve 39" 2X: Chest 50" Sleeve 40" 3X: Chest 52" Sleeve 41" 4X: Chest 54" Sleeve 42" 5X: Chest 56" Sleeve 43"
Stay warm and cozy with the Hanes Women's X-Temp Thermal Underwear. It is made with a cotton and polyester blend. Specially designed moisture control fabric helps keep you dry. Now with Fresh IQ, advanced odor protection technology that helps keep odors at bay. Designed with flat, no-rub seams, the Hanes crew tee is sturdy, yet comfortable. It moves when you do, so you won't feel restricted when you reach or bend. 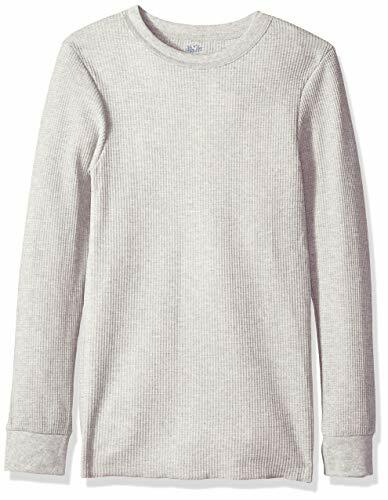 A stretchy neckline and ribbed cuffs add to the style of this thermal shirt. The thermal crew tee offers a slim, fitted look so you can wear it alone or layer it under a shirt. You'll love sleeping and lounging in these thermals. They also offer a comfortable fit under clothes and are machine washable. They come in a variety of colors and sizes small through 3x. 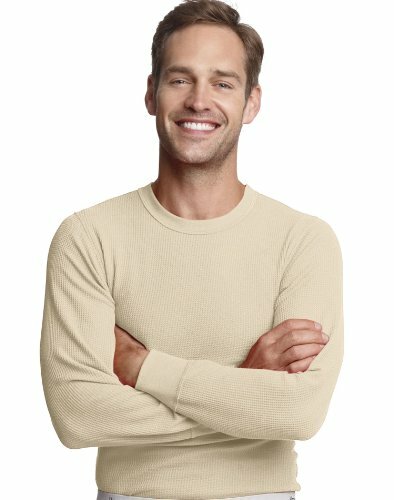 Stay warm and cozy with the Hanes Men's X-Temp Thermal Underwear. It is made with a cotton and polyester blend. Specially designed moisture control fabric helps keep you dry. Now with Fresh IQ, advanced odor protection technology that helps keep odors at bay. Designed with flat, no-rub seams, the Hanes crew tee is sturdy, yet comfortable. It moves when you do, so you won't feel restricted when you reach or bend. A stretchy neckline and ribbed cuffs add to the style of this thermal shirt. The thermal crew tee offers a slim, fitted look so you can wear it alone or layer it under a shirt. You'll love sleeping and lounging in these thermals. They also offer a comfortable fit under clothes and are machine washable. They come in a variety of colors and sizes small through 4x. For a loose fit, buy a size larger. 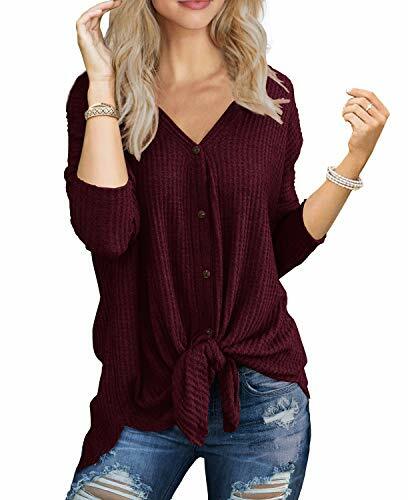 Want more Knit Long Underwear Shirt Top similar ideas? Try to explore these searches: Lcd Projector Bulbs, Core Race Suit, and Magellan Mapsend Bluenav Xl3 Charts.